The official said Niti Aayog will drive implementation of recommendation of its draft note on "incentivising" domestic manufacturing of lightweight body armours for the armed forces. NEW DELHI: The Prime Minister's Office (PMO) has asked the Niti Aayog to set up an inter-ministerial empowered committee to prepare a roadmap to "encourage domestic manufacturing" of lightweight body armours for the Army and para-military forces. The committee, according to a senior government official who did not wish to be identified, will be headed by Niti Aayog member V K Saraswat and will have representatives from the Defence Research and Development Organisation (DRDO), the Department of Industrial Policy & Promotion (DIPP), the Ministry of Defence and the Ministry of Home Affairs. 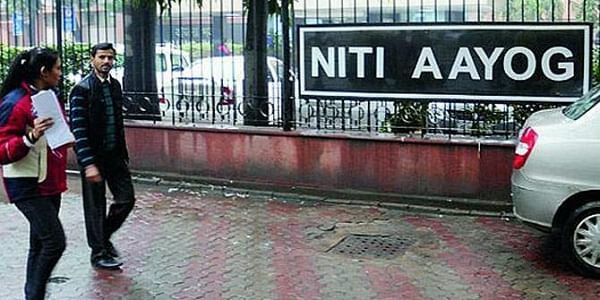 The official said Niti Aayog will drive implementation of recommendation of its draft note on "incentivising" domestic manufacturing of lightweight body armours for the Army and para-military forces. He further said the PMO was very responsive to the Niti Aayog's draft note and asked it to prepare a road map for the implementation of the proposal. Earlier this year, the PMO had asked the Aayog to prepare a draft note on the possibility of encouraging production of home-made lightweight body armours. The government think tank then consulted stakeholders like industries which are engaged in research as well as para military and armed forces. The idea has been mooted apparently because the bullet- proof vests and helmets in use currently by the Indian forces are very heavy, causing a lot of discomfort and leaving the personnel at a disadvantage during an encounter with heavily- armed terrorists. Although India is a major producer and exporter of body armour, its own security forces are many a time deprived of such equipment, particularly the lightweight ones. As per an estimate, there is a requirement of over 50,000 bullet proof kits for the police force in the country. According to some reports, Indian firms export bullet- proof vests and helmets to over 230 forces in over 100 countries, including the UK, Germany and Spain. Indian companies like Kanpur-based MKU and Tata Advanced Materials export body armour to armed forces around the world. If the light weight bullet-proof vests and helmets are produced in bulk within the country, it will ensure low-cost supplies and end to the endless wait for foreign vendors to supply the equipment.